Settling down one night, Arthur Kipps is pressured to share a ghost story with his young family. Amidst the crackling of the fire and the quiet cold of the night, Arthur refuses, as his imagination cannot conjure up anything that would be more frightening than his own experience, and for that, he will not share that story with his children. But it's one that still haunts him and he decides to record it to hopefully lift the burden of the most terrifying experience of his life. Susan Hill's gothic ghost story is beautifully told and, to be honest, eerily fun. As Arthur writes his story of a time when he was a new lawyer trying to get his feet wet and impress his boss, he is assigned the task of closing up the estate of a woman who has just passed away in the mysterious and quiet town of Crythin Gifford. The house sits alone and hidden within the marshes and fog, and Arthur stays on at the house, reviewing papers and documents and discarding anything that is unnecessary to maintain. It's the haunting and recurring visitations of children and a woman in black that frighten him beyond anything he's ever imagined. When he realizes that even the town is aware of these fearful presences, he begins to question everything around him. A delightfully creepy story that satisfied all around and I'm eager for more from Susan Hill. My only complaint was that I wish I had waited until this year's RIP Challenge to listen to it so I could benefit from the full ghost story experience. The cooler months around Halloween provide a much more suitable atmosphere for me, and I feel the fear of these stories even more so. But, that's not a complaint against the story at all, just on my own lack of timing! Audio Notes: At just a little over four hours, Paul Andsell delivered a solid performance that kept me fixed and attentive. His voice was extremely effective to narrate the emotional and frightening roller coaster ride that the character was experiencing, and I'll certainly be eager to listen to more from him in future audio books. 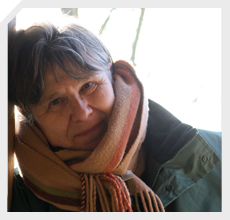 Susan Hill is an English author of fiction and non-fiction books. Her novels include The Woman in Black, The Mist in the Mirror, and I'm the King of the Castle, for which she received the Somerset Maugham Award in 1971. This is another selection for the 2012 Audio Book Challenge hosted by Teresa. So glad you liked this one too! As you know, I loved it. It was such a perfect read for the RIP challenge. This sounds scary fun and riveting! I putting it on my tbr llst for the RIP Challenge, thank you! Arthur is nuts to stay at a house like that by himself but it sure sounds like it makes for a great story! Children and a woman in black visiting him? Wow, that sounds scary enough! But the town is aware of it all? I knew there was something weird about the town name! 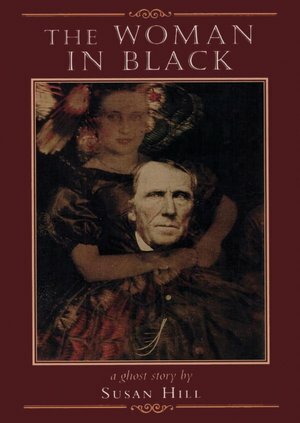 By the way, is the movie out a couple months ago, The Woman in Black based on this book? I've had this on my list forever and just keep not reading it. I don't know why, I love ghost stories! I'm going to try and remember it for the RIP Challenge this year, definitely. Silly me, I went and saw the movie and did not read the book It seems that the book is not quite the same as the movie! I really need to get my hands on the audio and listen this fall! This sounds good and like something I should plan on reading this October. I hope it isn't tooo scary though! I love a good ghost story, and think this one sounds excellent! I also like that you didn't give too many spoilers in your review. I am adding this one to my list for October, perhaps even on audio as you suggest! Great review today! It's funny, I don't remember all the details of this story, but I remember the atmosphere SO vividly. She did a brilliant job with that. This is probably the eeriest book I've ever read... must remember to give the audio a try next time. Maybe for RIP this year? Glad you enjoyed it. Had no idea this was a book. I am so adding this to the list. I love books that can give me goosebumps, and this will fit the bill. Thanks Natalie. I've read Susan Hill and really want to get to this one. The trailers for the film version looked fantastic, too. As you say, delightfully creepy. Not one to read late at night in the house on your own as I did! Loved this book and three others oh hers that I have read recently since discovering her as a writer, really into her style. Exquisite.